Southwestern Greek Yogurt Deviled Eggs are a healthy take on classic deviled eggs with a Southwestern twist. These deviled eggs use plain whole milk Greek yogurt in place of traditional mayonnaise for a healthy swap. 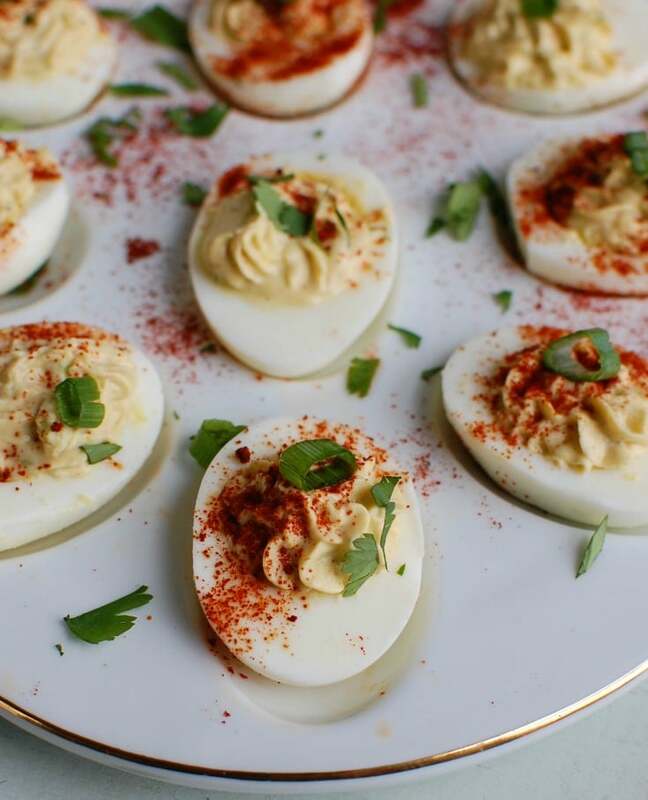 Deviled eggs make a nice appetizer or finger food at a party, but also a great dish to bring to a summer pot-luck. 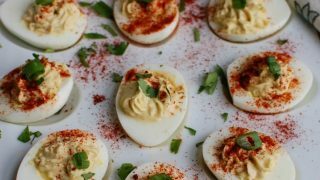 Southwestern Greek Yogurt Deviled Eggs are a healthy take on classic deviled eggs with a Southwestern twist. These deviled eggs use plain whole milk Greek yogurt in place of traditional mayonnaise for a healthy swap. 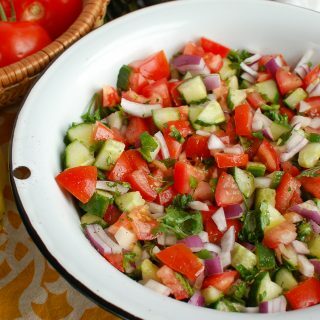 Greek yogurt is a great ingredient to use in place of butter, sour cream, heavy cream or even in your favorite salad dressing. 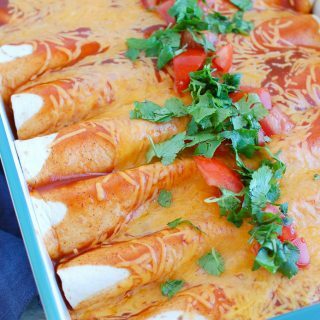 It adds a nice rich, tangy flavor, helps create a creamy texture, while lightening up the dish. 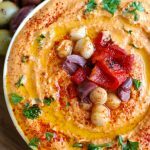 Try it in place of heavier ingredients in dips, sauces and soups! 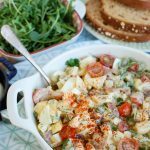 I have a deep love for yogurt so I am always excited when I can incorporate it into a recipe, especially if it helps make that recipe healthier! The Greek yogurt helps to create a creamy, rich flavor while cutting calories in these deviled eggs up and adding protein and calcium. You can feel good about snacking on these at your Easter dinner or your next family get together! 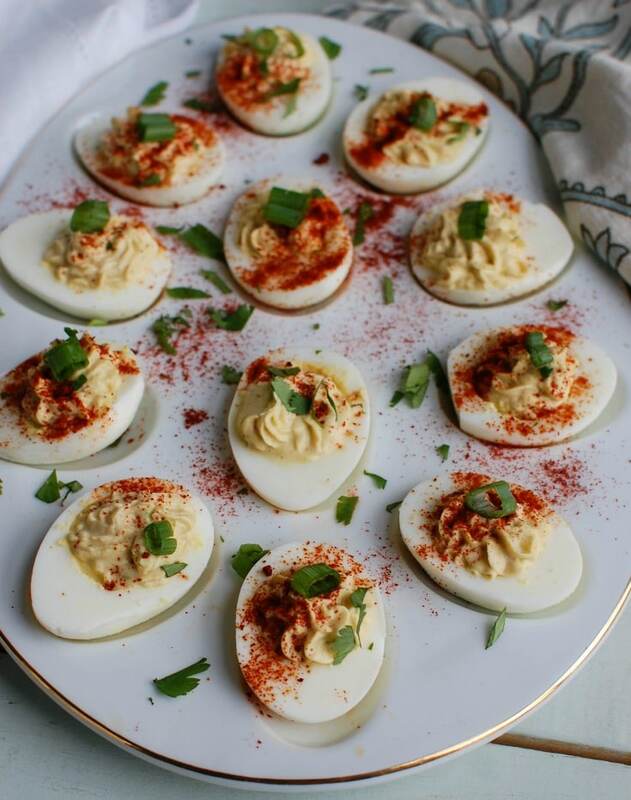 Deviled eggs also make a nice appetizer or finger food at a party, but also a great dish to bring to a summer potluck. 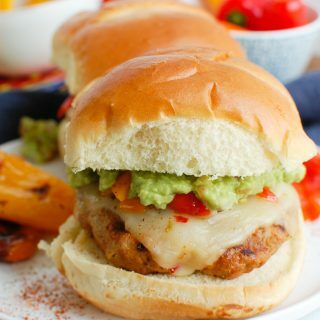 These are easy to make and are always a favorite with kids and adults. I know a lot of people dye eggs at Easter. I like using this tutorial on How to Dye Easter Eggs and then once Easter is done we use those dyed eggs to make deviled eggs! Now back to that Greek yogurt. 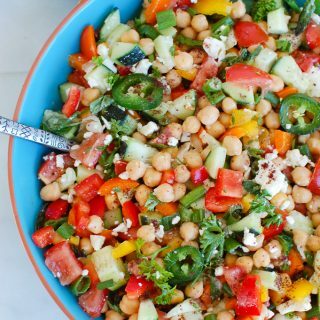 You might be thinking… You want me to swap Greek yogurt for mayonnaise? But trust me on this one, you won’t notice the difference. And along with the fact that they taste delicious, the Greek yogurt is high in protein, which helps to keep you feeling full longer, and packs in dairy’s 9 essential nutrients. Six ounces of Greek yogurt typically contains 14–17 grams of protein. That’s a lot of protein for such a small serving size! (Regular yogurt has between 7–8 grams of protein in 6 ounces). Greek yogurt has twice the amount of protein as most regular yogurts, due to the straining process. 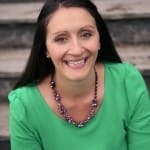 This is a great way to keep yourself feeling satisfied throughout the day. 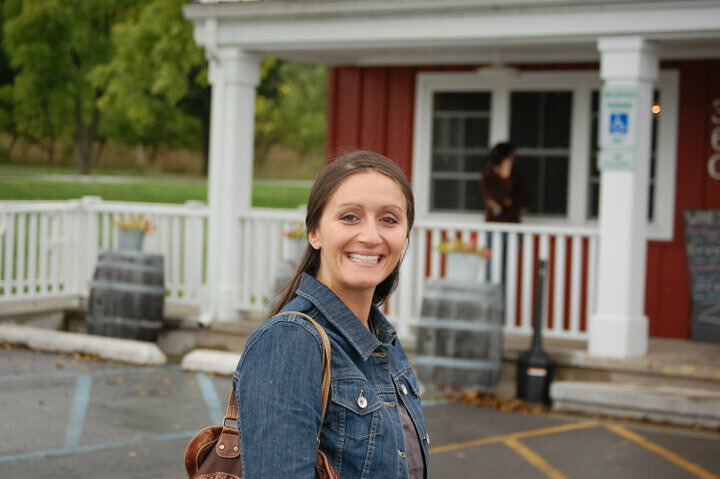 To learn more about Greek yogurt stop by ADA Mideast’s website here. Like I mentioned earlier, Greek yogurt can easily be used to lighten up recipes. Greek yogurt can be substituted for heavier ingredients like mayonnaise, oils, sour cream, cream cheese, and heavy cream when you are preparing sauces and dressings. 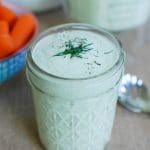 One of my favorite dressings happens to be this 4 Ingredient Creamy Dill Salad Dressing using Greek yogurt. When you start planning your summer parties try adding this Potato Salad with Dill Chive Yogurt Dressing to the menu. 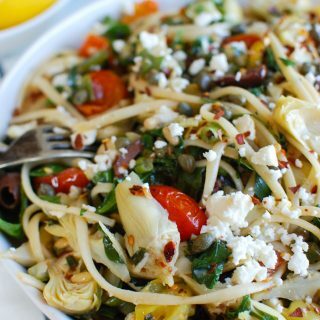 Another great way to incorporate Greek yogurt into your recipes! 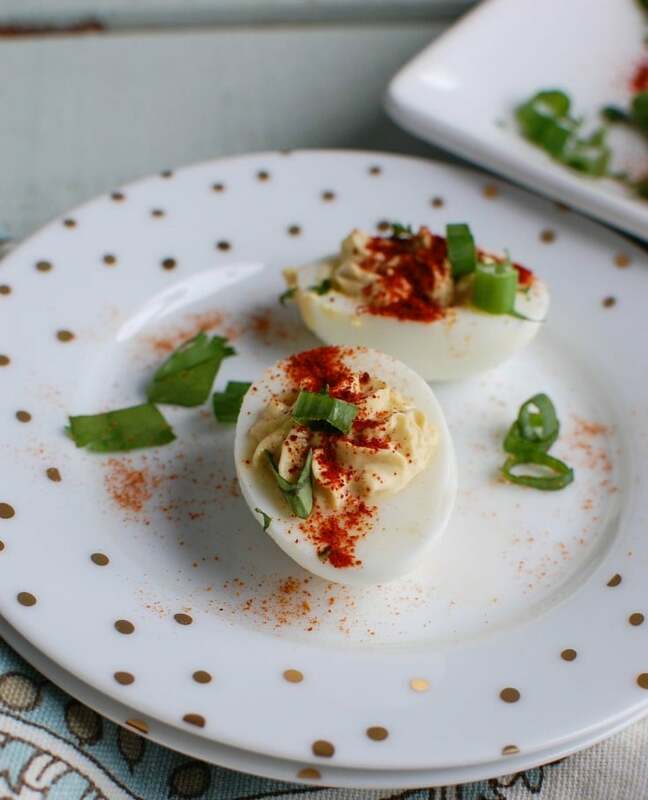 Aside from the Greek yogurt, these Southwestern Greek Yogurt Deviled Eggs use half of an avocado, cumin, paprika, cayenne pepper and is topped with fresh cilantro and green onion. 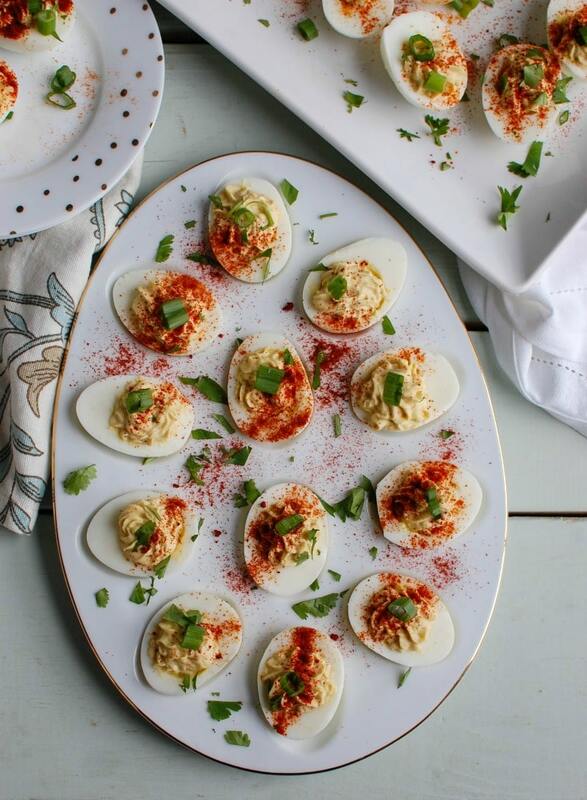 The Southwestern flavors work great to spice up your classic deviled eggs. They not only taste delicious but look beautiful on your table! Feel free to adjust the spices to your liking. If you like a bit of sweetness, add a couple of squeezes of lime juice. Chili powder can also work in this recipe — I suggest 1/2 a teaspoon. Recipe also appears on drink-milk.com . Today’s post is sponsored by ADA Mideast. As always all opinions are 100% my own. Thanks for supporting the brands that allow me to create new and exciting recipes. Very nice post. I absolutely appreciate this site.Keep it up!